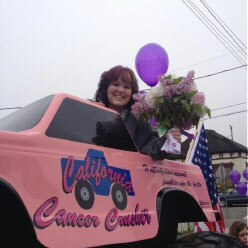 The California Cancer Crushers began in 2012 as a nonprofit organization whose mission is to make a difference in the lives of children and families affected by cancer in our community. 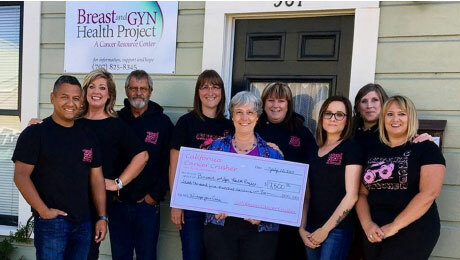 The California Cancer Crushers focuses on raising funds to help with the financial burden that cancer has on families. The money raised by our organization supports a variety of cancer-related causes. More than half of the funds raised each year stays in our local community and is used for; the California Cancer Crushers Scholarship Fund, donations to the Breast and GYN Health Project, and funds are given to local families to help with medical costs associated with cancer treatments. Each member of our organization has a strong passion for supporting our community in the fight against cancer. Pete Belak founded the California Cancer Crusher in 2012. Pete is a cancer survivor himself and through his journey to survivorship, he created the California Cancer Crusher. 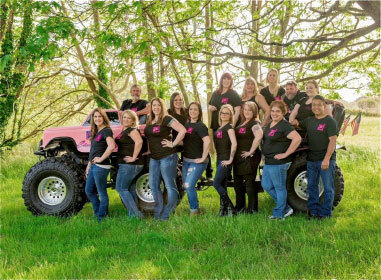 One man ’s passion quickly evolved into a group of enthusiastic volunteers who share a devotion to support and make a difference in the lives of children and families affected by cancer in Humboldt County. 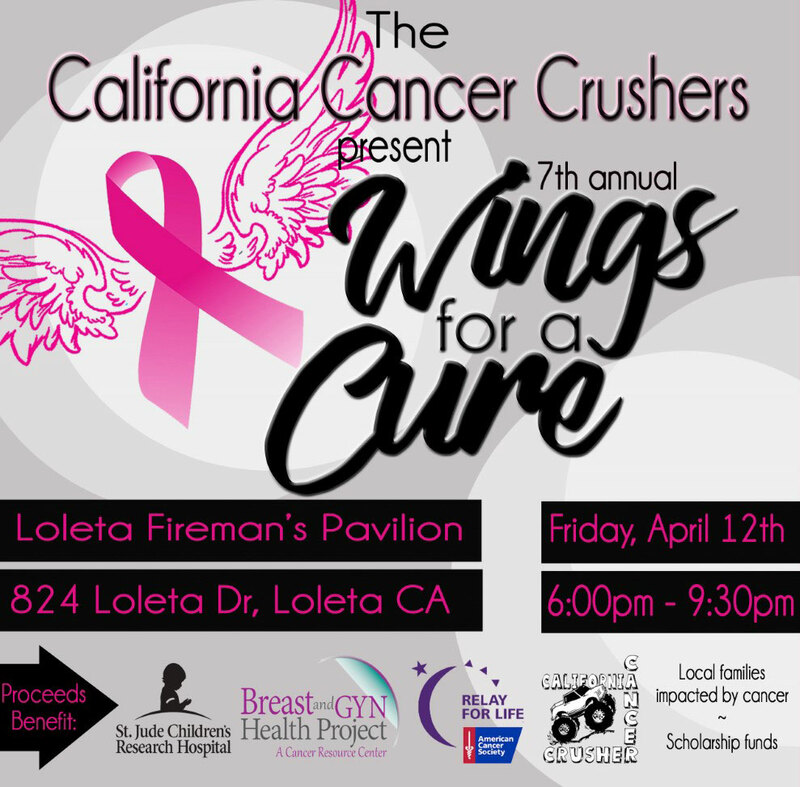 Wings for a Cure is our annual fundraiser for the California Cancer Crushers that began in 2013. This is our largest fundraiser of the year with proceeds benefitting St. Jude Children’s Research Hospital, Breast and GYN Health Project, the California Cancer Crusher Scholarship Fund, local families, and the American Cancer Society’s Relay for Life. It is truly the generosity of our local businesses and local community who help make Wings for a Cure a success each year. We encourage you to shop local and thank our local businesses for all their contributions. If you are interested in being part of this amazing fundraiser or would like more information, please contact the California Cancer Crushers! This fund was established in 2016 by the California Cancer Crusher non-profit organization in memory and support of loved ones that have suffered from cancer. There will be five $1,000 scholarships awarded to graduating seniors within Humboldt County. The funding and assistance program is designed to help offset costs that are related to long-term consequences of cancer, such as transportation and childcare. We help patients by providing support in various ways like cash, gas cards, event organizing, meal training, etc.